The ultimate destination for beaches, parties and natural beauty, Croatia is a traveller’s paradise. Blessed with idyllic islands, natural wonders and perfect weather year-round, it is one of Europe’s most popular destinations. Bountiful in architectural wonders and natural gifts, it epitomizes our search for quaint foreign towns and hidden spaces, tucked away in the heart of Europe. In conversation with Mohit Gurjar, we uncover an experienced traveller’s tips on planning a unique, offbeat Croatian trip, city by city. Croatia is basically known for partying and beaches. The way I plan is 3 days per city, to really live it and experience the country. The peak time is July- September and I suggest at least three nights since its really happening there. August is amazing because they have the Ultra Music Festival and the entire country is bombarded with tourists. If you are looking to party every night, you should go in August. But if you are a balanced traveler, where you enjoy the city and food but also enjoy partying, July is a good time. What is a must try experience? On our drive from Plitvice National Park to Zadar , we saw numerous stalls on the street which sold wine and cheese. They were similar to the pani-puri stalls we have on the streets of India. Local farmers who reside in these mountainous regions and grow their own cheese and brew the wine. 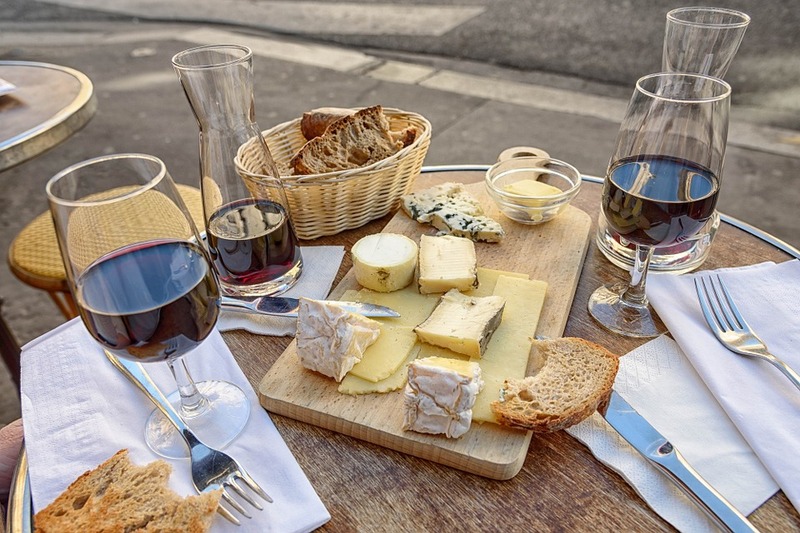 The unique combination is the cheese and the wine with honey, and it was the best honey I had ever had. Everyone should stop and eat these. Wine is the most popular alcohol in Croatia, especially on the coasts but they have a lot of local beers that are nice. One of them is Karlovačka. How unique is each city? Every city is unique in a way, the feel, the vibe and food is different. 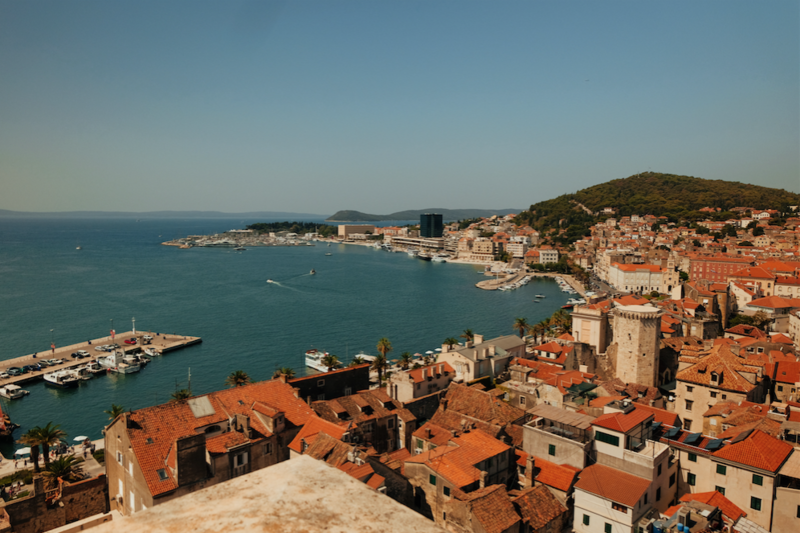 The most visually distinct things about Croatia are the ocean, the yachts and the parties on the beaches. It is a very historical country and the architecture is very similar to other European countries. The old cities are the core center of each city and they have typical European architecture, stone roads, stone buildings. Around this is the new city wherein modern architecture has come up. Zagreb- The capital of Croatia, it is an inland city. Its huge but nothing is more than two storied, hence the vibe is cute and quaint. The only tall buildings are the cathedral churches and the modern architectural glass façade. An interesting experience is the trams that run on the road. The trams function in open streets, almost as if they are walking along with you, and they are very well managed. Since it is an inland city, there is less scope for adventure sports. A fun street to explore in Zagreb is this street called the ‘Bar street’ which is at the center of the old city. It is more than a kilometer long street, filled with just bars- all around are interesting drinks and unique bars. So that street has a good vibe. 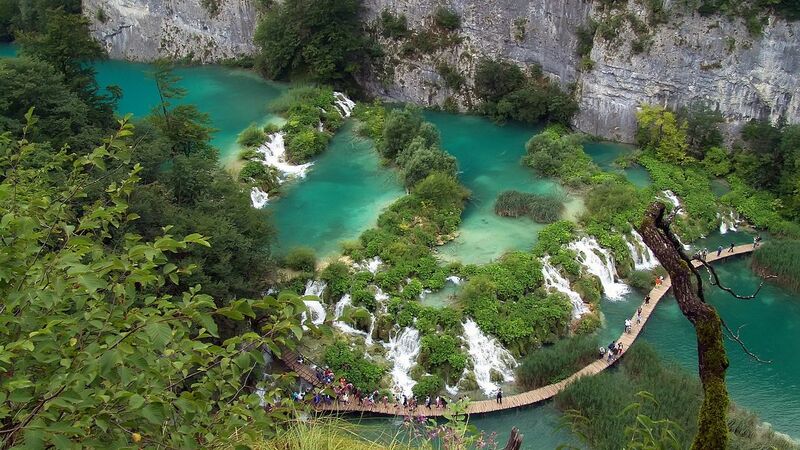 A two-hour drive from Zagreb is a national park called ‘Plitvice Lakes National Park’. The park has beautiful ponds, waterfalls, trekking and it’s a really nice touristy walkway. There are day tours available and you can take a 2, 4 or 8-hour tour and hike inside the national park. Zadar- We were in Zadar for two days since it is a very small city compared to the others. When you enter it is beautiful with incredible vistas, but there’s less to do- the old city tour will probably get over in an hour. 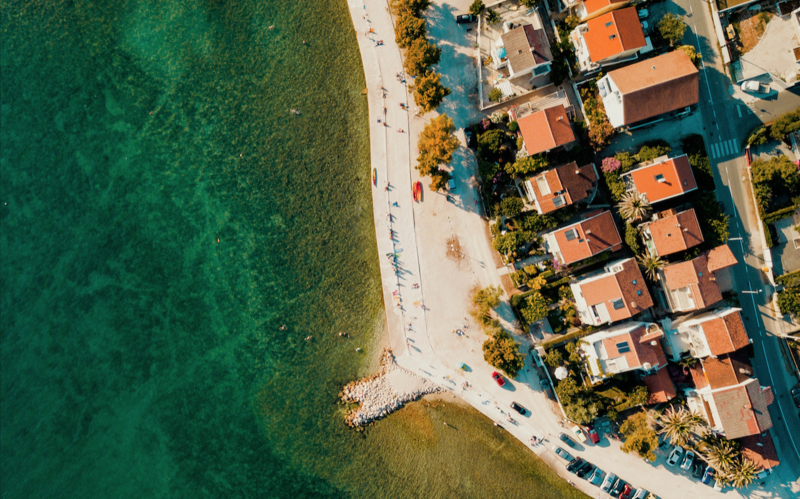 The most popular experience in Zadar is the ‘Sound of the Sea’ which is basically the sound created when the water hits a man-made coastal structure. Whenever the water hits the land at the certain time, speed and force, there are different sounds that are created. These are soothing sounds of the sea, kind of like a flute, and have a very relaxing effect. Depending on the force of the sea, you can hear these sounds throughout Zadar. 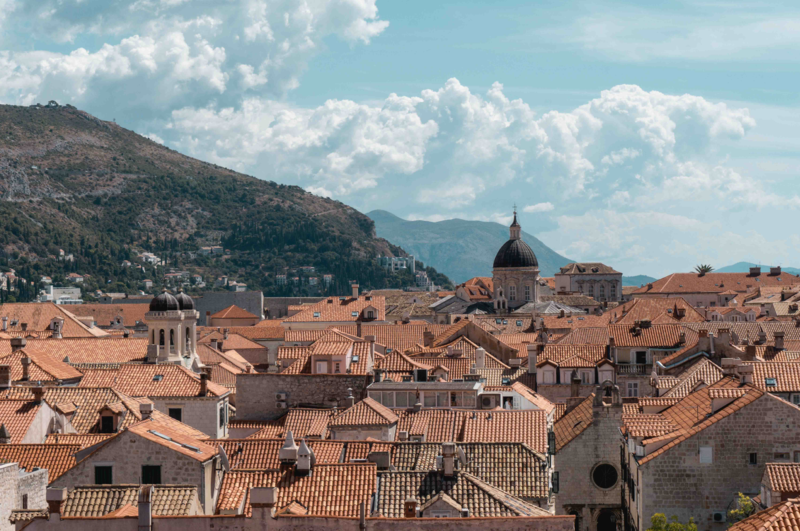 Dubrovnik- The city is not really known for partying so water sports and nature activities are the best here. It is the only city in the world where there is no limit to the distance one can jet ski- generally, there are restrictions on the distance for jet skiing but in Dubrovnik, you can go as far out into the water as you want. We rented the jet for 6 hours for 300 euros and compared to a yacht, its less expensive and so much fun. Croatia is also popular for its blue caves and one is found on the smaller islands surrounding Dubrovnik, roughly an hour’s ride away. There are small water passageways that form an entrance to a cave. You will have to step out of the boat or Jet Ski and swim inside the caves. Once you reach the clearing of the cave, there’s shimmering blue light in the cave, hence their name. Due to natural algae and corals, this is blue light emitted and it forms an ethereal experience. When you see the cave from outside, it looks normal but the moment you enter, its blue. There are guided tours and boat tours that take you here, but if you know swimming and are confident about riding a jet ski, you can do these yourself. Split- I found it to be the most positive city in Croatia. In Split we started doing Night Pub Crawls. You pay 20 euros per person, including entry fees for bars and they take you to three to four pubs where you start at 10 in the night at the first bar. For the first hour they let you drink as much as you can and then they take you to more bars where they let you drink one-three drinks per bar. There is a gang of atleast 100 people from all over the world, crazy people together in a bus or walking around drunk. Its really interesting, you get to meet people from everywhere, go to the most popular clubs and make a lot of friends. And all of this is in 20 euros. 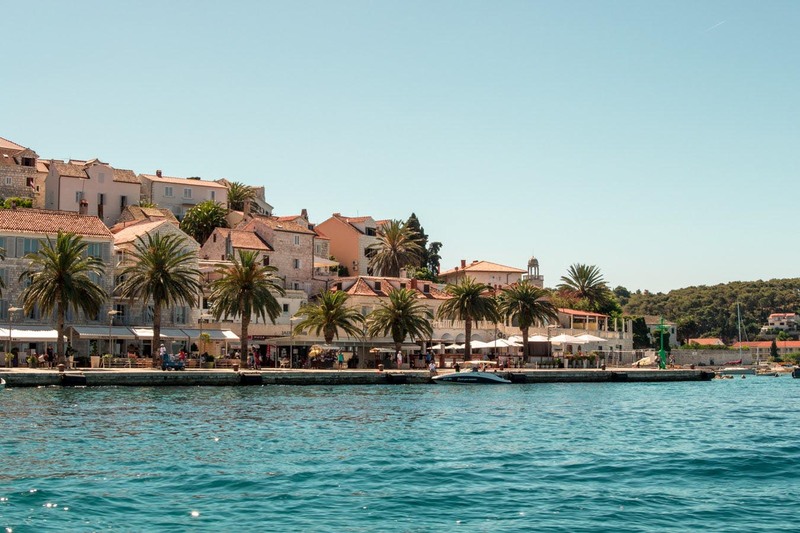 Hvar- A 70 km long island city, it is a two-hour ride from Split, on a ferry or speedboat. The island has this old fort called Fortress Fortica, which is beautiful to see. The best thing we did was rent a vintage Beetle car, a convertible with a black shade. We cruised through the 70 km island, explored its beauty and had a different experience. It was totally worth doing. What are your main suggestions for an offbeat experience? My two major suggestions for travellers looking to really immerse themselves in the local culture are the morning walking tours and night pub-crawls. Night pub-crawls: pub-crawls such as the one we did in Split are the best way to meet new people and hit the hotspots of each city. 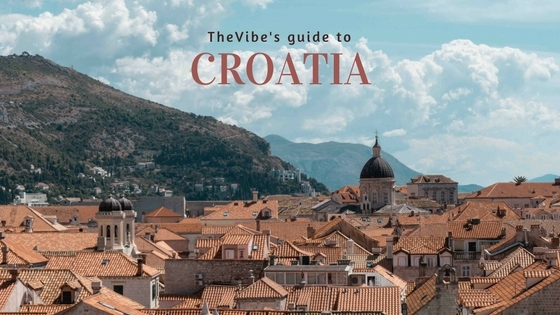 They allow tourists to experience the nightlife and heartbeat of Croatia, akin to the way the locals do. Morning walking tours: Every city that I went to, the first morning I would take free walking tour, which are picking up popularity across Europe. You basically gather at a spot at a particular time, and the tourism agency has different batches. They will guide you on the interesting stuff to do in the city. There are lots of people, tourists, from everywhere and you walk for 3 hours around the city since all the cities are small and the important places are within the 3 hours. It is a very useful thing to do because it is more than enough to understand the history and making of the city, after which the rest of the trip can be an individual exploration.